As you all may or may not know, Mindy plays Dinosaur Penguins on DN. The deck beats some tier 2 decks and is getting better with moar testing and experience. So Mindy decided to make a really super special awesome Dinosaur Penguin support card. ● You can destroy Spell/Trap Cards on the field, up to the number of WATER monsters you control, except this card. ● Add 1 WATER monster from your Deck to your hand. Here is my Card, it is supporting darklords. I think i have the "junk" quasar! This card can't be destroyed by battle. You can activate any of the following effects once per turn. During your Main Phase, you can set 1 Spell or Trap card from your opponent's grave. If this card is targeted by a card effect, you can remove this card from play to negate and destroy that card. 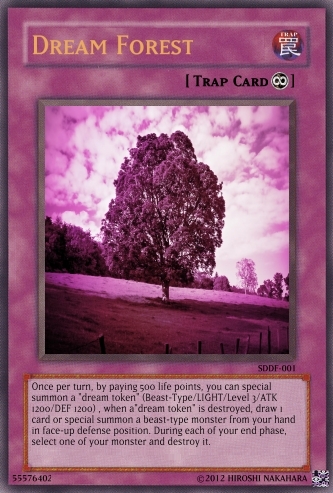 During the End Phase, Special Summon this card removed from play by this effect back to the field in the same Battle position it was removed in. If this card successfully destroy's a monster your opponent controls, inflict 2000 points of damage to your opponent's life points. 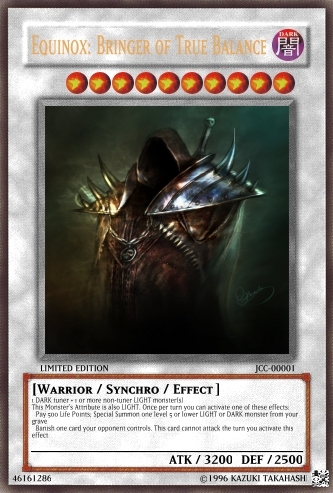 If this card is removed from the field, you can Special Summon the synchro materials used for this card from your grave to your side of the field. I vote JCRuler I think,.. Hard choice though? :?